Bank heists that involved ‘breaking and entering’ and ‘boring underground tunnels’ are things of the past. As digitization has taken almost all processes all over the world onto the Internet, criminals too are developing sophisticated techniques to hack into the process they desire. Recently, a bank heist that involved hacking using sophisticated technology by cyber criminals has shaken the nation. A 112 year old bank in Pune, Mahrashtra has been robbed of nearly Rs 94 crores by hackers over a period of just two days. Hackers managed to clone thousands of RuPay and debit cards of customers in the Cosmos Bank through a sophisticated malware attack. Malware attack was on the ATM switch, which is operative for payment gateways of Visa and RuPay debit cards. A report on The Economic Times, quoting Chairman of Cosmos Bank Milind Kale, says that said the core banking system of the bank received debit card payment requests through a ‘switching system’, but during this malware attack, a proxy switch was created which approved all the fraudulent payments. It is also being speculated that the coordinated attacks, that took place on August 11 and 13, looted the bank of nearly 94 crores and the money was transferred using the Society for Worldwide Interbank Telecommunications (SWIFT) facility. The bank has however committed that customers will remain unaffected by this cyber heist. Although this was a large cyber attack which customers had no control over, people are trying to be duped every single day by hackers. In some cases, money has also been successfully robbed and is usually unreported as the amount is small. There are simple steps that consumers can take to keep their money safe from cyber hacking. Password Must Be Hard to Guess: Most of the transactions that take place today happen through cards and net banking. The first and foremost rule for a customer is to keep their net banking password long and it should have – a special character, a number, and capital letter. Nevertheless, some consumers ignore this rule and base their passwords on birthdays and other things that are easy to remember. This makes it easy for hackers to break into users’ account and their passwords easy to crack. Users should also never store their password on their devices. Never Use Banking Platforms on Open Wifi Networks: One must always avoid using public Wifi networks as it makes their devices vulnerable to hacking. Malwares can easily be introduced while using open Wifi networks without the user’s knowledge and private data can be stolen. Suppose one uses such networks, and receive messages on transactions they never made, they must immediately contact and report the incident to their banks. Steer Clear of Vishing and Phishing: Banks usually never call or send emails asking for a customer’s personal details. People must avoid opening suspicious links and emails, no matter what innovative methods scammers come up with to know their details. Scammers have been known to be calling customers claiming to be from the RBI. RBI does not maintain any account in the name of individuals, companies or trusts in India, so there is no way they can call anyone. Beware While Shopping Online: Customers must always shop with only reputable and reliable brands, thus ensuring high amount of safety while transacting online. Anti-virus and anti-malware software on devices must always be kept up-to-date. Also, while transacting a website’s URL should start with ‘https://’ and not ‘http://’ and there should be a padlock in the address bar. The absence of this could mean that a user’s personal data is not being encrypted prior to transmission and can easily be stolen by a third party. Manually Check an ATM before Inserting Cards: Users are also being robbed of their savings through the ATM machines they use. Skimming devices have been known to be added to ATMs to steal PIN and other details of cards, which hackers later use to clone the debit cards and carry out fraudulent transactions. 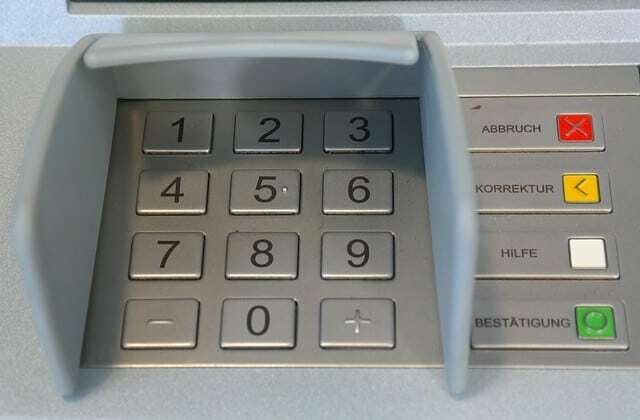 Users must always check for any extra attachments on scanning devices in ATM machines and also see if the keypad for entering the PIN is loose, as this could been that the ATM has been tampered with. Customers must also always ensure that their latest mobile number is registered with the bank so that they can get updates on all the transactions that take place via their cards. How Consumers Can Keep Their Money Safe from Hackers 0 out of 5 based on 0 ratings. 0 user reviews.